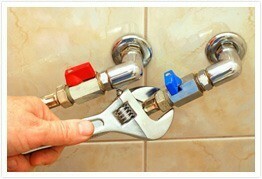 Brea/Orange County Plumbing, Heating and Air Conditioning specialists are highly skilled technicians who take pride in their work. However, we know that sometimes things do not always work out the way we intend. This is why you can rest assured that we are fully insured, and that each of our technicians goes through an extensive training session and full background check. Regardless of what type of work we do for you, we are backed by insurance and you can feel secure while having our team in your home or your office. We keep up with all licensing standards and guarantee that our technicians are among the best trained in the field. Whether you need a minor repair, a major remodeling job or ongoing maintenance, you will always know that you are getting the best technicians in the industry with Brea/Orange County Plumbing. Call us today for all of your heating, plumbing and air conditioning needs in Brea, Fullerton, Placentia, Yorba Linda, Roland Heights, La Habra, Anaheim, and all other areas in Orange County. Let us put our years of skills to work for you!